Looking for a vehicle which can make transporting a lot of people or handling a heavy-duty task on a commercial job site seem easy? 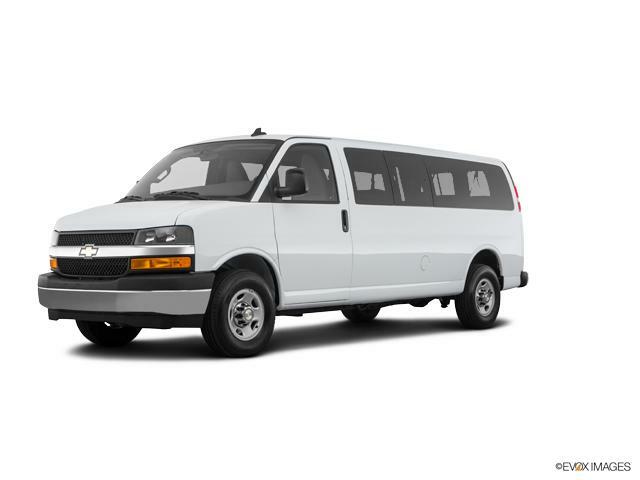 The Chevrolet Express Passenger Van, from White's Mountain Motors in Casper, is perhaps what you’re looking for. Unmatched towing capacity and a powerful engine make this vehicle one of the leading ones in its segment. The best part is that the interior of the Chevrolet Express Passenger Van can be adjusted according to your requirement – the normal 12 seater can be changed into a 15 seater if there are more people, and more luggage can be stored as a result of the seats being foldable. Electronic Stability Control System and other safety features ensure a safe ride. In case you are checking out new models of the Chevrolet Express Passenger Van in Casper, visit our dealership.